On the coast of Brittany, just east of Saint Malo, Cancale is a pretty fishing port. The city also marks the beginning of the “Emerald Coast”. 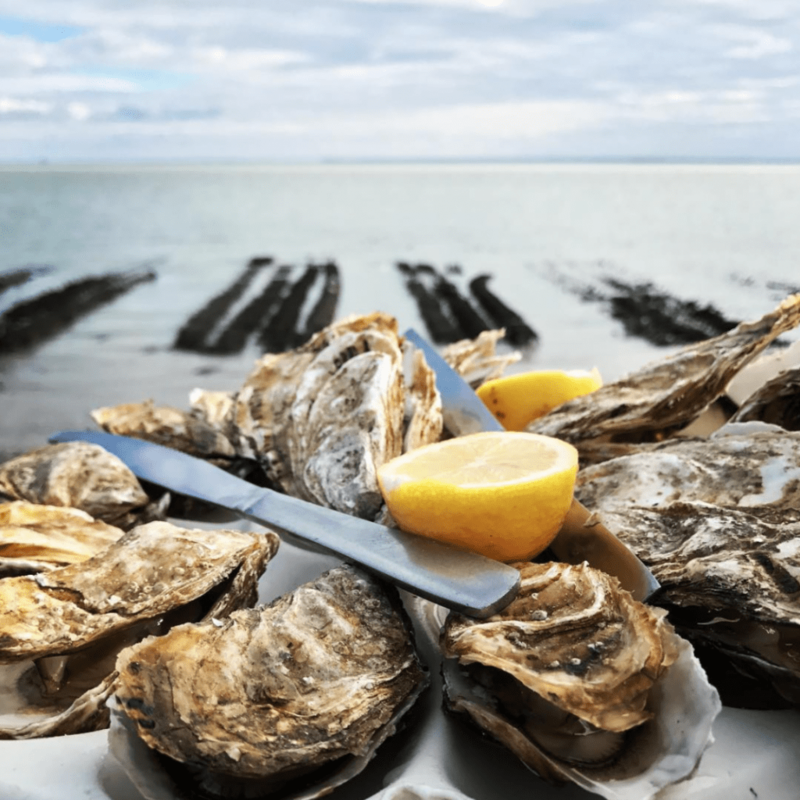 Cancale is above all known as the oyster capital of the region (and even all of France!). There are stories of Henry XIV asking for oysters from Cancale be brought directly to Versailles! The town is basically divided into two main sections. On one side is the port, lined with classic fishing houses and cute stores. On the other side is the main town. A steep, cobble stone path connects the two areas. Safe from the ocean winds, the city has a mild climate and lush vegetation. Take a walk on the harbor to enjoy the flower gardens and plants that grow along the town’s stone walls. You can especially enjoy the beauty of the port and the Saint Michel Bay. 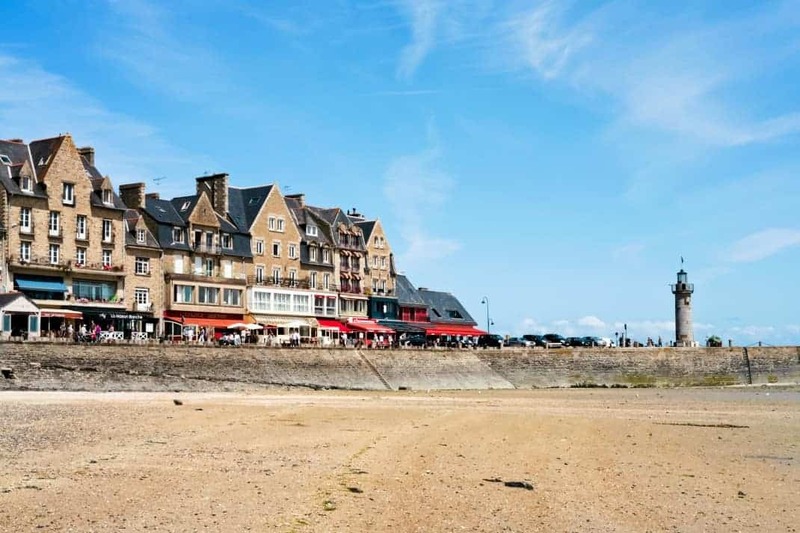 Despite its small size, Cancale is a lively town with a large number of restaurants. And being a coastal town, you can expect to find delicious seafood, especially oysters! Make sure to visit the oyster market during your stay. Lastly, make sure you have time to stop by La Maison Guella – a famous cookie and sweets maker. It’s been a town landmark since 1920. It was even described by Proust as an “unforgettable gourmet pleasure”. Overall, Cancale is a great place to visit at any time of the year. If you want to lounge on the beach or even enjoy some sailing, spring and summer are the best seasons. However, if you’re looking for a budget friendly weekend, the off-season (fall and winter) is an ideal option. Cancale is rather small. Major sights can be seen in one day. However, to fully enjoy the region and nearby nature, we recommend staying for two or three days. 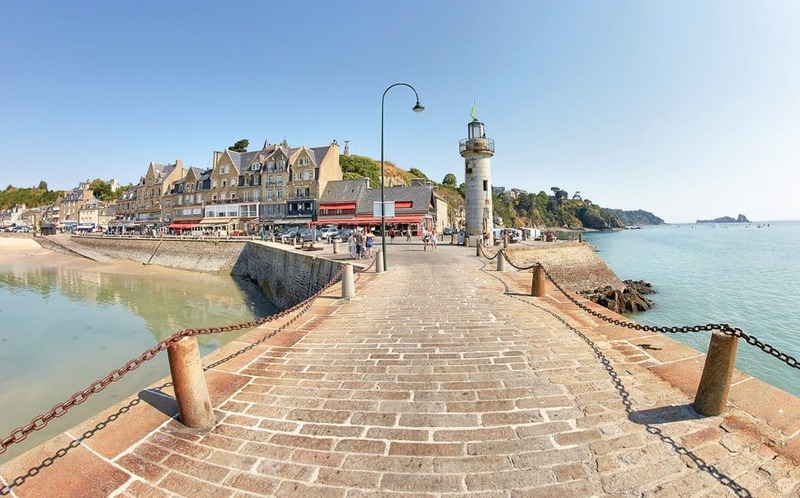 Cancale is also an ideal starting point for a trip up the Emerald Coast. This is especially great if visiting in spring, summer or early fall. Cancale is a casual ocean village. Therefore, no specific dress code is required. Plan according to the season. It can get rather cold in the fall and winter months. Finally, wearing comfortable shoes is advised. So that you can walk the streets of old town in comfort! 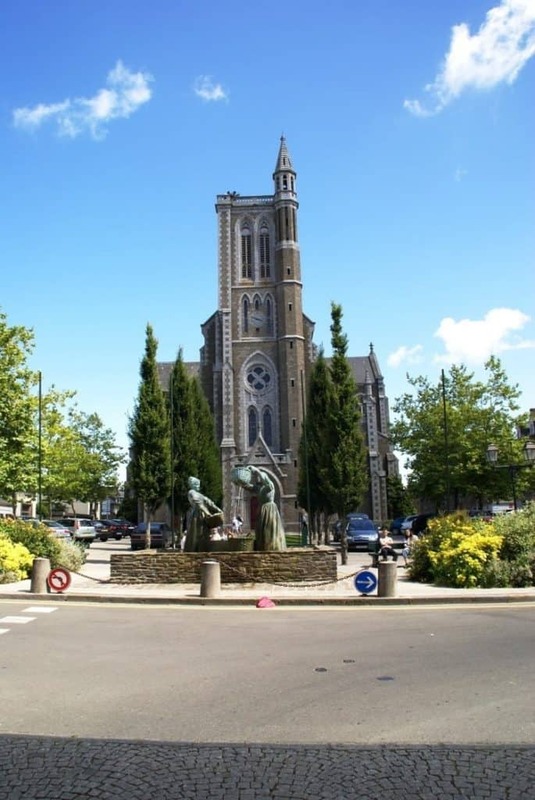 The first building you will probably notice is the Saint-Méen Church. It was built in 1875 by architect Alfred Louis Frangeul. The complex stained glass windows tell the naval history of the city as well as its seafaring traditions. It’s definitely a must-see for anyone interested in the town’s history, ships or sailing in general. La Pointe du Grouin is a rocky area and a great location to enjoy views of the Saint Michel Bay. 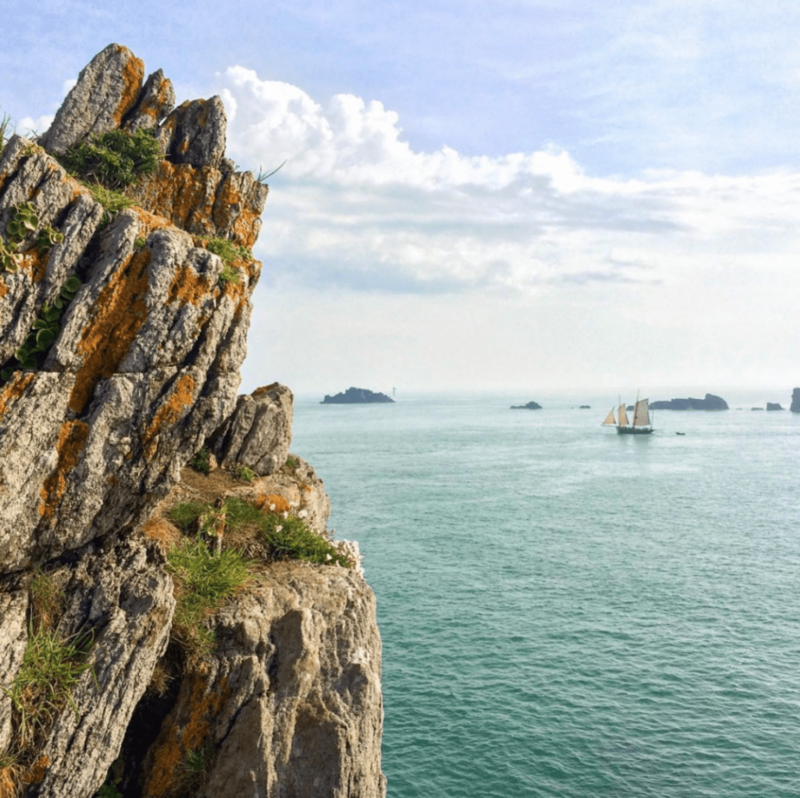 Just 7 km outside of Cancale, this breathtakingly beautiful spot is easily accessible by bike. It’s also a great place to take a few pictures to remember your time in Brittany. Make sure to add it to your list of sights to see. Similarly, it’s an ideal spot for a picnic, sunbathing or a relaxing afternoon walk. Visit the Oyster Market for a large choice of fresh oysters at affordable prices (around 7€ for 12 oysters, depending on the season and size). They are even shucked on the spot. You’re sure to enjoy their burst of tasty, salty, flavor. Grab a bottle of wine and enjoy a picnic on the harbor. It takes almost 5 hours to drive from Paris to Cancale.